I was recently at a trade show where a major car carriers advertising stated, We have a 99.8 percent damage-free rate, which gives you 100 percent confidence. This translates into one damaged vehicle out of every 500 moves, a statistic that may or may not inspire 100 percent confidence. The statement does, however, expose the reality that damage occasionally happens no matter how competent and careful your carrier may be. Moving vehicles hundreds or thousands of miles on the open road is a tough job and incidents occur whether you choose to work with a small owner operator or a company with a fleet of 1,000 trucks. Vehicle transportation has become part of doing business for every dealer. As the sluggish economy has reduced the demand for new cars, demand for pre-owned vehicles has continues to rise. According to Jim McKnight, president of Online Solutions for Manheim, Dealers can manage these challenges [to their new car sales] by making an effort to stock their lots with affordable used vehicles&hellip-used car inventory should be a dealers top priority in 2008. Unfortunately, keeping more used vehicles on the lot means more transportation for most dealers. In this climate, transportation efficiency is more important than ever. While price is always important, proper insurance, reliability, and quick delivery can be more important issues for dealers, especially with the increased need for pre-owned inventory. You need to have the vehicles on your lot when consumers want them. Although there will always be some risk associated with transporting vehicles, some basic education will allow you to take specific steps to decrease these risks. Make the Internet your friend for vehicle transport. There is simply no need to rely on the slow, inefficient fax and phone method to find carriers to move your vehicles. Additionally, you are no longer restricted to using the two or three carriers you know, hoping that they can move your cars when you need them, at the price you want. Using online services provides you with access to literally thousands of carriers. In most cases, you can quickly find a carrier to suit your needs, often in minutes. In addition, you can now check carrier ratings online. User generated content allows you to learn what other dealers have experienced with particular carriers. Jerry Scott, sales manager for Power Auto Group, recommends that you always check carriers online ratings and always make sure you know how much insurance they carry. With these ratings, you’ll know if dealers have had negative outcomes or great results. Ensure proper insurance and documentation. Always get carriers Motor Carrier Authority or MC number. Then check with the Federal Motor Carrier Safety Administration (FMCSA) to confirm that their MC Number is still active with the Department of Transportation. This information is available at www.fmcsa.dot.gov. In addition, always call a carrier’s insurance company prior to arranging transport, because a policy can be cancelled at any time. To speed up the insurance verification process, ask for the insurance agent’s contact information, rather than the insurance company’s generic contact information. This way you have a much better chance of talking with a live person instead of an automated phone system. Next, confirm that the amount of insurance coverage is sufficient. Ask the carrier how many total vehicles will be transported along with your own. The average value of a used vehicle transported in the U.S. is between $25,000 and $35,000, with some vehicles worth much more, so a carrier with an eight-car hauler should have a policy of at least $250,000. Confirm that the carrier can ship both new and used vehicles. 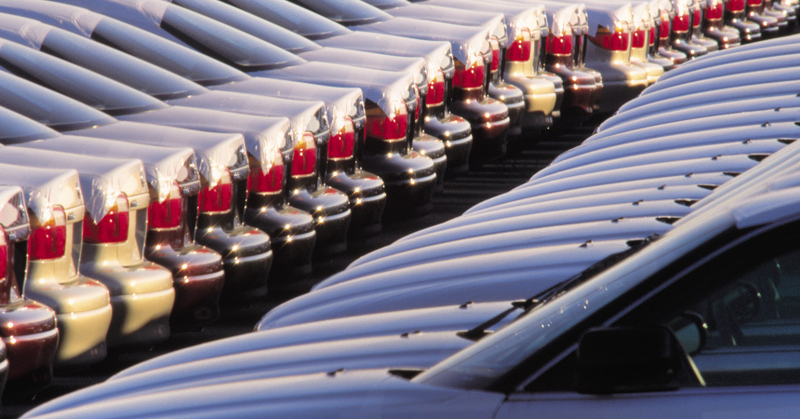 Just because a carrier has cargo insurance does not mean it is covered to ship used vehicles. Also, find out if there is a radius limit associated with the insurance policy. A carrier can save money by indicating to their insurance company that they only drive in a limited area. If this is the case, you need to confirm your vehicles will not be going outside of this limit. If you use certain carriers on a regular basis, ask to be added as a certificate holder on the insurance policy. This way, if their coverage changes you will be sent a new insurance certificate or notification if the policy is cancelled. This does not guarantee a carrier has coverage, but makes it easier for you learn about changes in coverage. Documentation and communication are the keys to successful resolution of any conflicts that may arise. A carrier that insists on taking photos or detailing damage on paper before loading a vehicle is simply following best practices, and should not be rushed to get the car on the truck. In the event of a problem or legal issue, use the FMCSA as a resource for working through issues with carriers via their Website www.fmcsa.dot.gov or phone 202-366-2519. Vehicle transportation is becoming more important for dealers and there will always be risks, but you can be smart about it and decrease your vulnerability. First, use online services to get faster service, to have access to more carriers, and to check carriers user ratings. Next, always conduct thorough due diligence to ensure proper insurance coverage. Finally, make sure you keep proper documentation and use the FMCSA as a resource. Joe Steinberger is the vice president of product and business development for CentralDispatch.com. For more information email him at joe@CentralDispatch.com or visit www.CentralDispatch.com.